The information you need, with the ease and convenience you want. No setup, no grading, no headaches – just easy testing whenever you want it. Students see different items on every test, so repetition is not an issue. 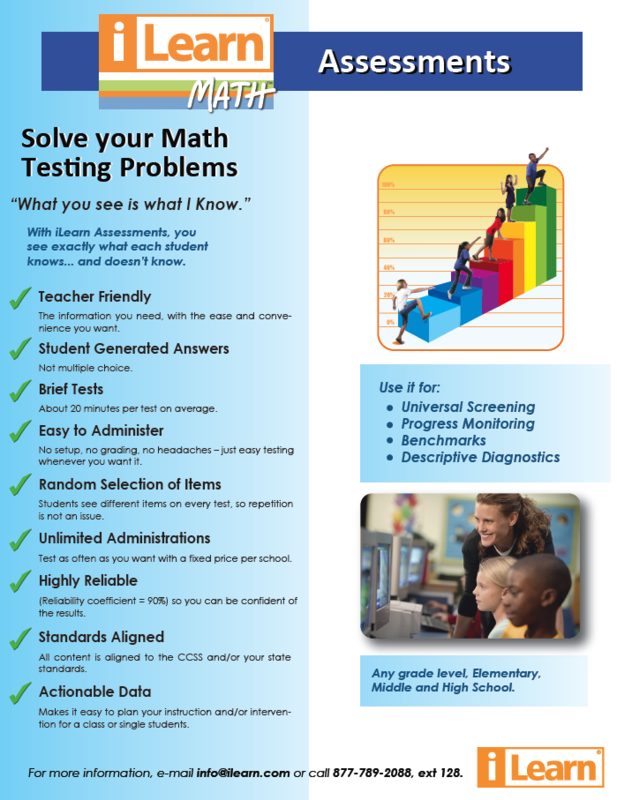 Test as often as you want with a fixed price per school. (Reliability coefficient = 90%) so you can be confident of the results. All content is aligned to the CCSS and/or your state standards. Makes it easy to plan your instruction and/or intervention for a class or single students. Any grade level, Elementary,Middle and High School.